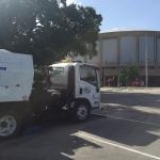 Welcome to S & G Sweeping and Maintenance Inc.
S & G Sweeping and Maintenance has provided services in Solano, Napa, Contra Costa, Yolo, Placer, El Dorado, Sacramento, Alameda and San Francisco counties for over 16 years. We are experienced professionals that take our work seriously! Committing to providing service that you truly can rely and depend on. Supportive to that goal we operate 24 hours a day, 7 days a week. S & G Sweeping and Maintenance Inc. offers a variety of services to maintain the exterior of your property grounds. 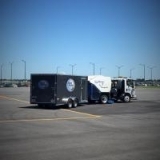 Whether it is common parking lot sweeping of shopping centers or industrial facilities and ports; parking lot garages and storage units or commercial lots and construction clean up, we can take care of your property and any size project. In today’s economy, it is imperative to preserve the appearance of a property in order to maintain consumers desire to patronize. Allow S & G Sweeping and Maintenance Inc. to support your retail property’s needs by providing services that will leave your center attractable to patrons. Our quality care and attention to detail is impressive! Our work is only conducted by our highly trained and qualified staff, you can be confident of consistent results. As a D.I.S.A., B.A.T.C., and T.W.I.C certified corporation we understand the needs indicative to industrial facilities and ports. Every caution, safety equipment and preventive measure required is consistently taken. Our serious approach and knowledge ensures a safe, clean, and hazard free experience. We have the experience and expertise to give your retail center, industrial facility, ports, construction yard, or property quality service competitively priced. Do not be plagued with inconsistency and poor quality from low cost providers. Invariably it can end up costing you more than what you bargained for. Receive the assurance S & G Sweeping and Maintenance Inc. provides with our reliable and quality service! If you are in our service area, please call us at 707-628-9070 for a professional assessment of your needs. Alternatively, visit our website, which is located at www.sandgsweeping.com. We look forward to showcasing the professionalism of our company.